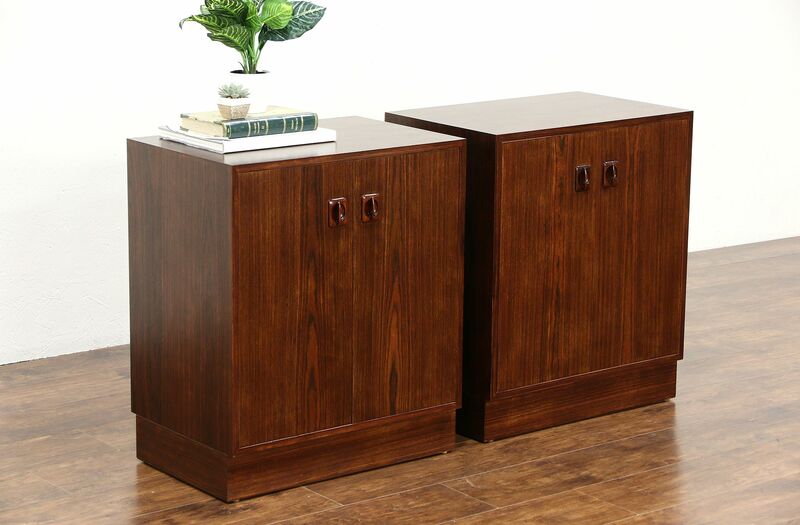 A pair of Midcentury or Danish Modern nightstands or end tables from the 1960's are genuine rosewood, signed "Made in Denmark." The restored finish is in excellent condition. Interior shelves are adjustable on this sleek vintage Scandinavian furniture. Dimensions are 24" wide, 16" deep and 28" tall.